After incredible 2017 Australian Open final, Roger Federer defeated Rafael Nadal in 5 sets to win his 18th career grand slam and also became the second only player to have cross the $100 million mark in career prize money. Federer started stronger and looked in good shape winning the first set, Nadal came roaring back in the second set but it was Federer who prevailed in the end. It was amazing night of tennis in Melbourne Australia, although not one of the best matches between the two it will certainly be memorable for one way or the other. We are highly unlikely to see both of these playing against each other in grand slam final again. 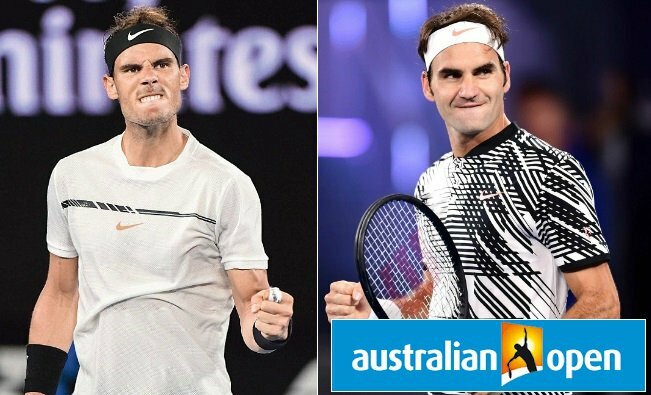 One of the greatest rivalry not only in Tennis but sports in general is set to resume as Roger Federer takes on Rafael Nadal in the 2017 Australian Open final this Sunday, 29th January 2017. Last time these two meet in a major final was in the same competition back in 2014 and since than both have struggled to win matches let alone trophies. Its a massive game and fans of both players could not have asked a better final. The mens’s final will get underway at 7:30 p.m australian time (08:30 am uk time). Roger Federer vs Rafael Nadal Australian Open 2017 Final: The history goes back 12 years when Nadal burst on the to scene in 2004. Federer at that time was at the peak of his career and only Nadal could match him in terms of ability on the court. Since 2004 when 17 year old Nadal meet Federer for the first time in Miami Masters the level of competition between the two was top notch. They would go down as two of the greatest Tennis players in modern era and played some epic matches against each other. Federer has won 17 grand slam titles while Nadal is stuck at 14 for quite some time. Aussie Open 2017 given a superb oppertunity for both the players to add one more title to their name and its even more important considering both of them are in the twilight of their careers. Federer vs Nadal Head to Head Record: Looking at their record, Nadal clearly leads the head to head battle with 23 wins overall compared to Federer’s 11. Even more interesting is the fact that Nadal has won all three meetings between the pair at Australian Open, 2 at the semifinal stages and one final back in 2009. Nadal also leads grand slam finals with 6 wins and 2 defeats against Federer and that puts hime slightly favourite going into the Aussie open final.